RMT action goes ahead on Friday on Virgin West Coast in fight over pay justice. RAIL UNION RMT confirmed today that members on Virgin West Coast services will be taking strike action in a dispute over pay justice exactly as planned from this Friday as the company have refused point blank to make any serious moves to resolve the issue over pay and workplace justice. 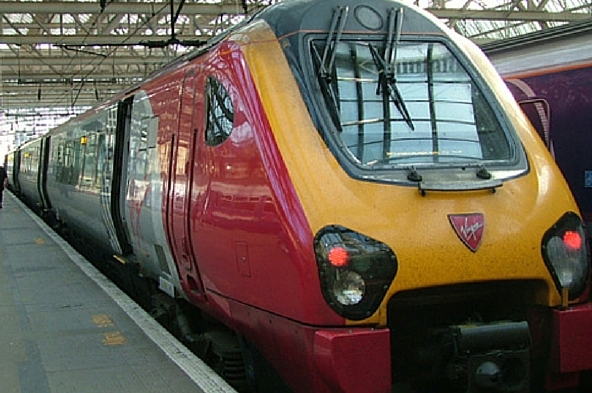 At the heart of the dispute is the RMT demand for a suitable equal offer for its Virgin West Coast members to that received by drivers. Virgin have agreed a deal for drivers to buy out their claim for a one hour reduction in the base working week without loss of pay by giving an additional £500.00 on their basic salary, which is pensionable, whilst asking RMT to enter into self-financing arrangements for other grades. The ballot for strike action saw a huge level of support with nearly 1800 Train Managers, On Board Catering, Station, Clerical and Retail Grades on the West Coast route from Glasgow down to Euston voting by over nine to one in favour of both strike action and action short of a strike. “Our members on Virgin West Coast are striking on Friday for workplace equality and workplace justice. The company have made no serious effort at all to resolve those issues and our action goes ahead exactly as scheduled. “All our members are demanding is a suitable and equal offer to that given to drivers to buy out their claim for a reduction in the base working week. We have made it clear to the company that the inequality and underhanded approach of Virgin will be fought tooth and nail. We will not accept our members being dealt with less favourably than others. • It was the Company who have breached the procedural agreement by breaking away and entering into separate discussions with another Union instead of holding single table negotiations whereby everyone is “treated fairly and equally”. • It was the Company who have unilaterally breached the agreement reached in principle on 3rd July 2017, as contained within the agreed and signed minutes. • The Company have benefited from the increased productivity already provided by frontline passenger interfacing staff.